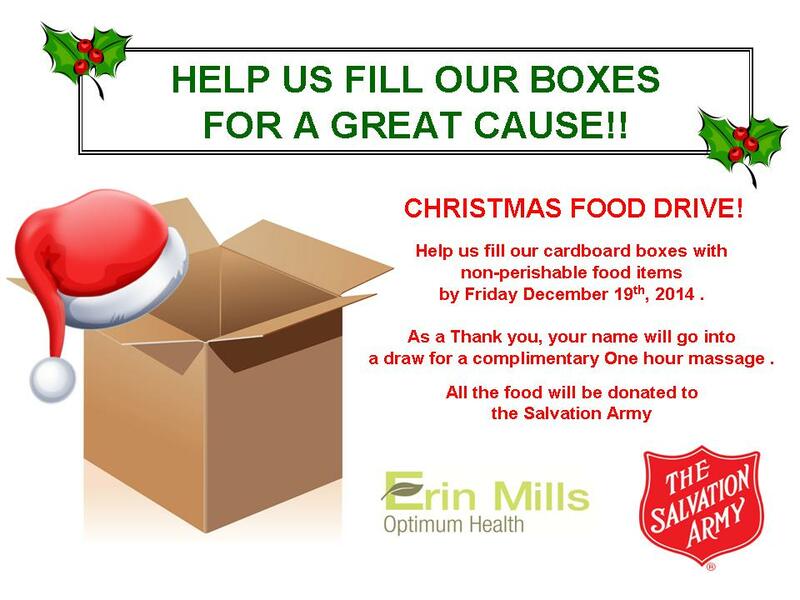 Help us fill our boxes for a great cause!! by Friday December 19th, 2014 .
a draw for a complimentary One hour massage . 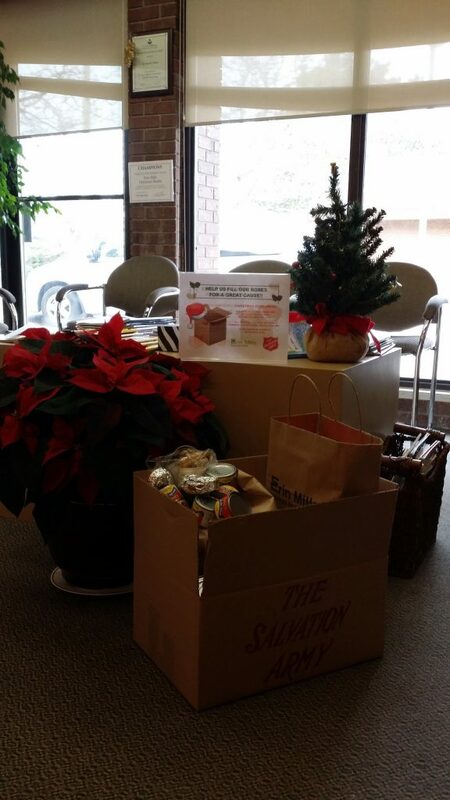 Thanks to our patients for their contribution to the food drive!